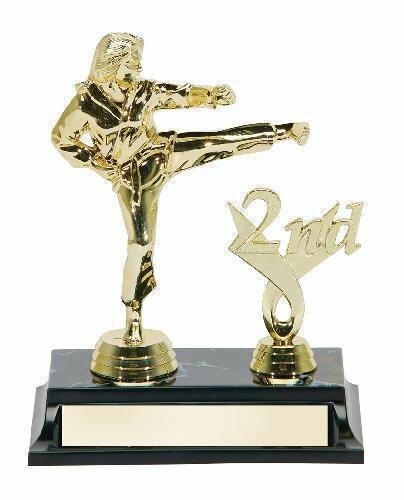 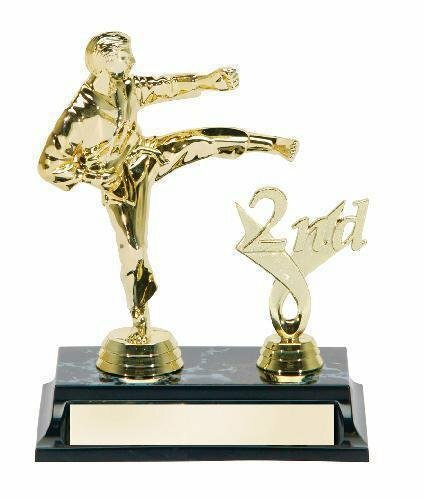 A gold football and goal post encircled by a black and gold stars and stripes are featured on this modern looking trophy. 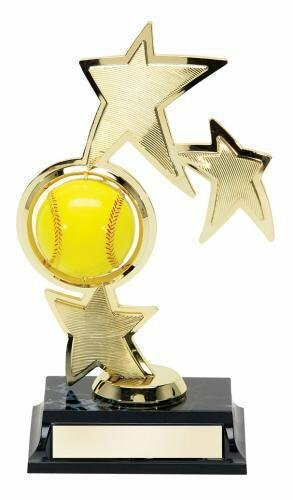 The sculpted round base adds height and offers ample room to personalize for your event. 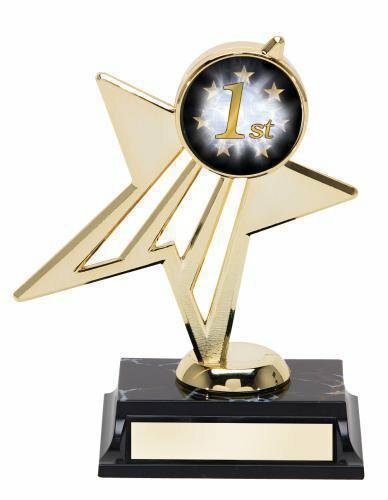 Recognize the accomplishments of your team with an award they will be proud to display. 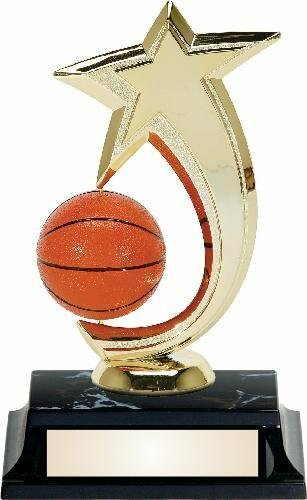 A perfect award for the stars on your team, this trophy features a full color basketball framed by 3 rising stars standing on a star column riser. 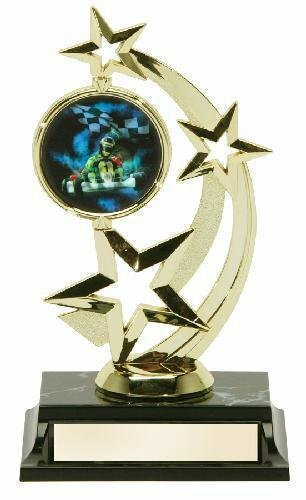 Mounted to a white weighted plastic base that can be personalized for your event, this is an award that's both impressive and budget friendly.